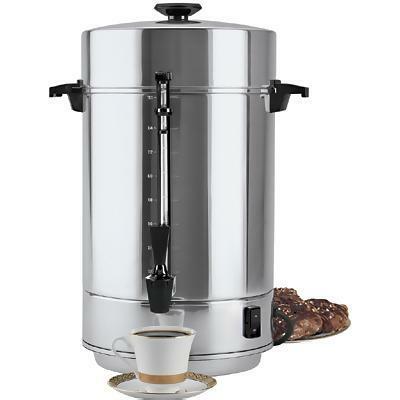 Polished chrome, 100 cup coffee maker with spigot. Brews about 1 cup per minute. * Please call us with any questions about our coffee maker 100 cup rentals in Columbia and Jefferson City MO.